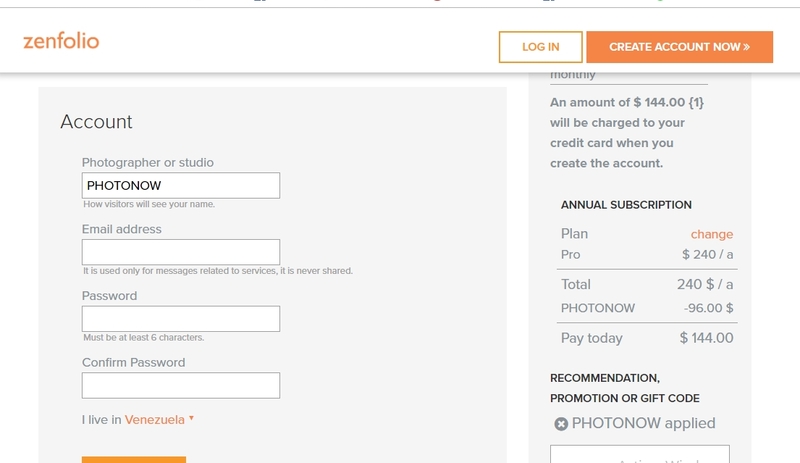 Rahiiza Select items and enter the code PHOTONOW at checkout to get the discount. This deal was verified and it is working as described. Some exclusions may apply. Teodomiro This deal works as described. 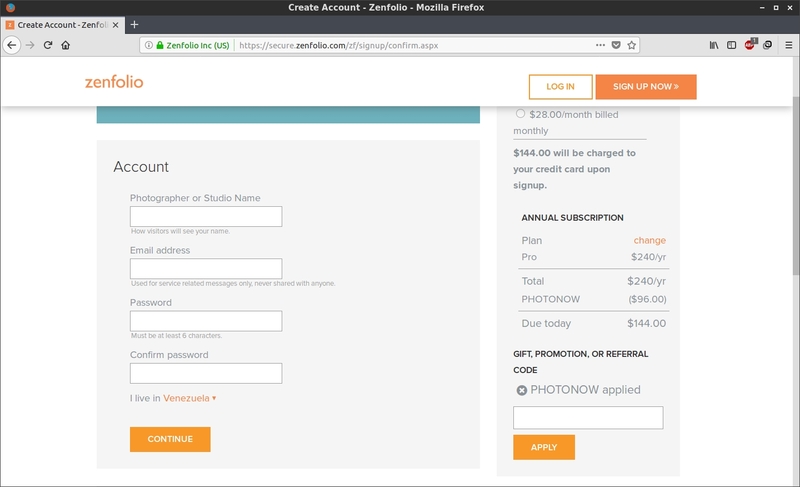 Go to the web site, add your item to cart, proceed to checkout, enter promo code <PHOTONOW> and get 40% off your order at Zenfolio. 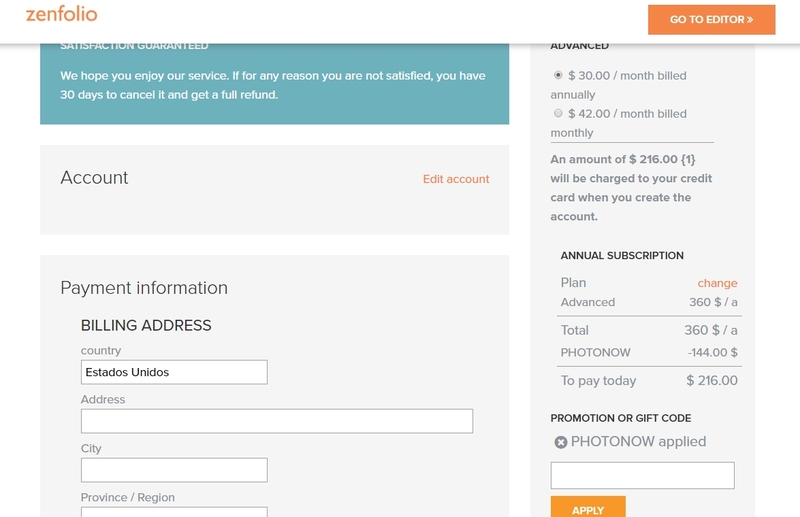 Jorge Briceño Save 40% off your order using the code PHOTONOW at checkout. This promo code cannot be combined with any other offer or promotion. Exclusions may apply to this offer.